Thousands of U.S. soldiers and veterans are believed to have suffered hearing loss because of defective earplugs sold by 3M Company to the U.S. government. 3M’s defective earplugs, known as the Dual-Ended Combat Arms Earplugs (version 2), did not function as 3M claimed they would function. The earplugs were not long enough to be inserted properly into a soldier’s ears. The design prevented a snug fit in the ear canal of the user, causing the earplugs to become loose and exposing the user to dangerous levels of noise. 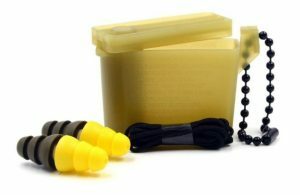 These earplugs were originally created by a company called Aearo Technologies, which was acquired by 3M in 2008. The earplugs were sold to the military from 2003-2015. It is believed that more than 1 million service members were issued 3M’s earplugs while engaging in various combat missions during foreign wars. These defective 3M earplugs have never been recalled and therefore, could still be in use by soldiers and other government employees.